After impulsively sharing the truth about her destiny with her best friend, Ellie fears she has summoned something dreadful, something that cannot be denied. But it’s her parents’ discovery of an eighteenth-century artifact - linked to the mystery of the vanished North Carolina settlers - that brings fear, and murder, into their once safe and happy home. Now, the unholy forces unleashed at the dawn of a new nation stir once more, to challenge another generation fated to wage the war between gods of good and evil. A short story, "This Changes Everything" delves deeper into the world of Ellie Lancaster and the Curse Keeper series! What made the experience of listening to This Changes Everything the most enjoyable? 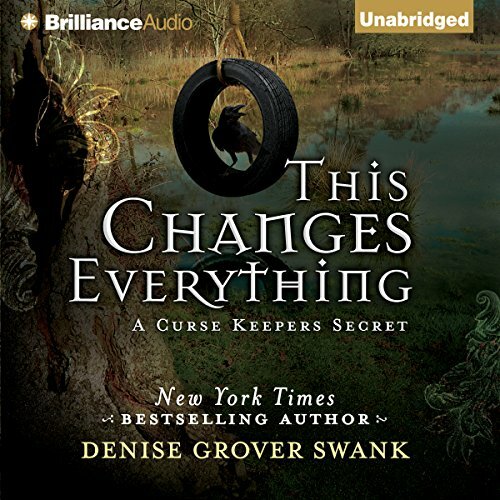 One I am a fan of Denise Grover Swank and have read all her books. To be able to listen to the audible version as well makes it even better. Just to have the story read to you after you have read it really nice. As I am crocheting and it is a rainy day this book fit the mood I was in. Nice and relaxing that's for sure. Two friends being there for each other when they really needed someone.